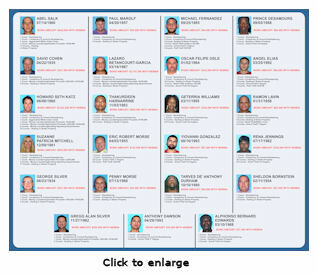 "$15M FL ORC Ring Busted - Exclusive Details"
The Arrest Warrant presented yesterday by Katherine Fernandez Rundle, Miami – Dade State Attorney is 235 pages long, remember that before you quickly hit the ‘print’ button on the pdf. 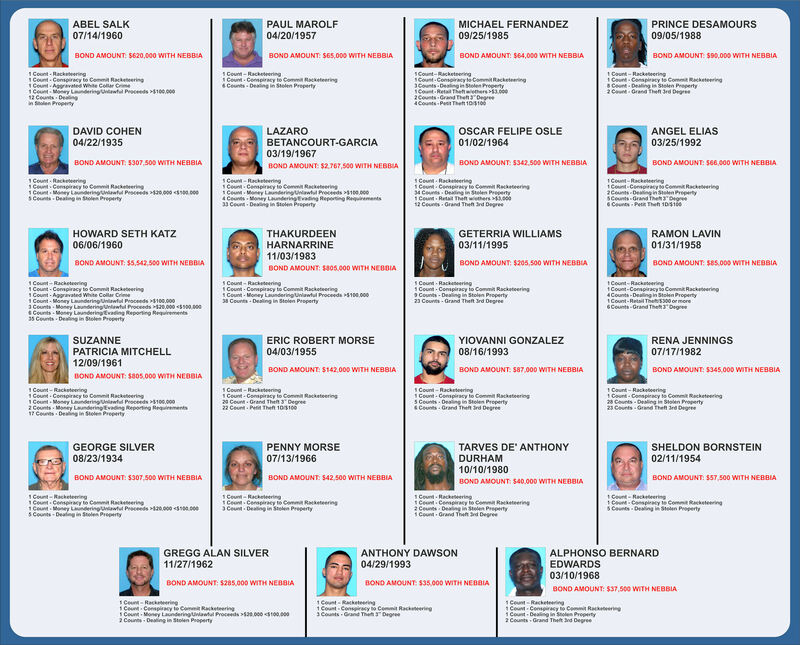 We at the D&D Daily would like to thank members of the Miami-Dade State Attorney’s Office for documents and insight into this monumental Organized Retail Crime case. A number of Loss Prevention Organized Retail Crime Investigators are named in this Arrest Warrant, and we want to give them a special thanks for their diligence and dedication in following this case to the end. 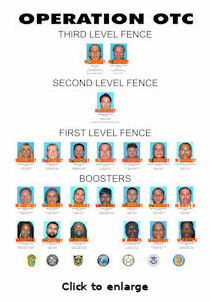 The OTC ‘Over the Counter’ Gang was made up of Boosters, First and Second Stage Fences, a Ringleader of theft operations and 2 Buyer/ Distributers. The operation of the OTC Gang was under investigation for the last year. The OTC Gang focused on over the counter medications, diabetic test strips, razor blades and other health and beauty supplies. 16 of the 23 current suspects have been arrested. The State Attorney’s Office has charged the group with R.I.C.O charges. R.I.C.O*. is normally reserved for Federal cases; this is the first time used in a state case in Florida. Retailers named as targets by Boosters in this case: CVS, Walgreens, Publix, Whole Foods, Apple Store, West Marine, Walmart, Navarro’s Pharmacy, Milam’s Supermarket, Winn Dixie and various Department Stores. Average hit per store was nearly $1000, lowest being $75 and the highest over $5000. Boosters hit several stores per day almost on schedule. 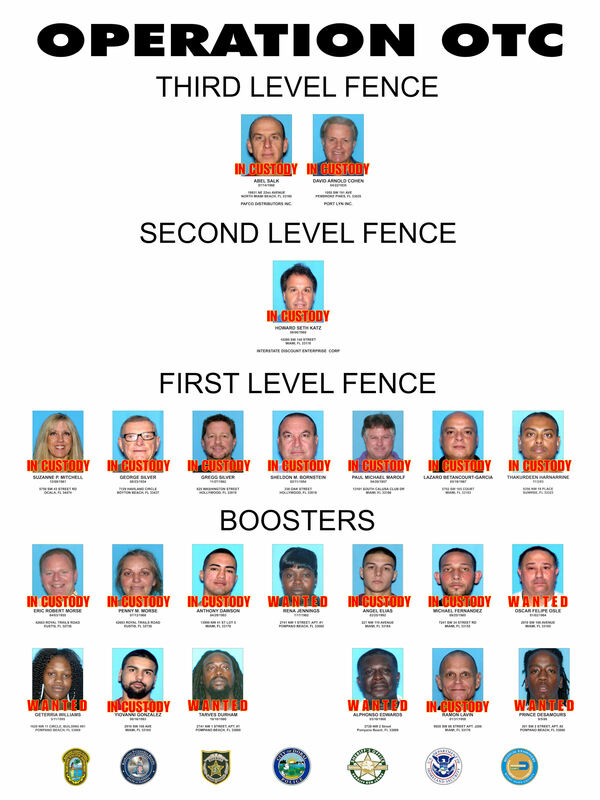 The Boosters: 13 members of the OTC Gang are list in the Arrest Warrant as “Boosters”. Of the 13 boosters, 6 remain at large. The Boosters ranged in age from 19 to 59 years old, 10 males and 3 females. Two Boosters are husband and wife and responsible for hitting stores in at least 8 counties in Florida. Two others are father and son. One booster had a Medeco key which opened security cases at Walgreens. Aluminum foil stolen from within the store was used to wrap the stolen goods to defeat the electronic article surveillance systems. Boosters used a clear reflective tape to make it impossible to read the last digits of their license plates. One of the top Boosters hit CVS, Walgreens and Publix 29 times between 6/11/2013 and 10/13/2013 for over $33,000. Boosters were making 15 to 20% of the retail value of the product and were asked to have a categorized inventory sheet completed in exchange for payment. ● Howard Seth Katz, ringleader of a majority of the Booster operation, and Owner of Interstate Discount Enterprise, based in Miami. ● Katz purchased all the items from the boosters with checks, keeping transactions under $10,000.01 so not to trigger IRS and Bank attention. ● Katz shipped the stolen product direct to Best Buy Trading, Jaman Sales Co. (Owned by Katz father and brother) & Newport Trading in New York, selling the remainder of his goods to Abel Salk and David Cohen who also had buyers set up. Between January 29, 2010 and December 31, 2013 Katz sold $4,568,733.98 in stolen merchandise. ● Abel Salk, Buyer/ Distributer and Owner of PAFCO Distributors, Inc and Pan Amco Finance based in Miami. ● Investigators have transactions of shipments between PAFCO and 11 other companies purchasing stolen goods dating back to December 2011. Total sales reflect $3,001,349.99. Records also reflect that PAFCO paid out to it suppliers (Katz’s Interstate Discount Enterprise and others) $1,676,798.44. ● David Cohen, Buyer/ Distributer and Owner of Port Lyn; his home is in Pembroke Pines, FL. ● All of the transactions between Cohen and Katz occurred in parking lots or gas stations. Merchandise was simply transferred from vehicle to vehicle and closed with a check. Bank records indicate from January 2012 and December 31,2013, Cohen sold goods to 15 different companies, total sales of $5,212,381.32. Bank transactions between Cohen and Katz were only $336,198.25. *The Racketeering Influenced and Corrupt Organizations (RICO) Act is a group of federal laws passed by the United States Congress in 1970 to deal with organized racketeering activity. As a product of two sets of Congressional hearings that took place in the late 1950s and early 1960s, the act's main focus was on measures that would be prohibitive to gambling organizations. A convicted defendant may be sentenced to as much as 20 years in prison for each racketeering count and/or fined up to $250,000 US Dollars. In addition, the defendant forfeits all rights over the enterprise and any gains derived from the racketeering activity. For complete details on this major ORC bust, read the 235-page arrest warrant from the Miami-Dade State Attorney's Office here. Police probe theft of $500,000 cognac container in Rosedale, Md.